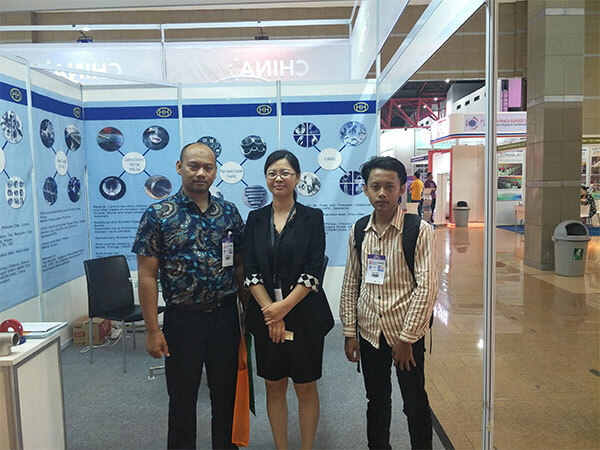 Last week,pipe fittings and flanges manufacturer-Haihao Group attend the 4th INDONESIA TUBE & PIPE EXPO 2018 held in Jakarta Between Jul.11-Jul.13. With vast economic and population growth,Indonesia is the largest economy in ASEAN.The steel market in Indonesia is expected to reach 20 million tons in 2020 and 30 million tons in 2030.This market has experienced a higher growth due to the increasing steel demand in the country of more than 240 million people.Industry – Accounts for a significant portion of demand, primarily driven by automotive, oil and gas, shipbuilding, electronic and steel industry. 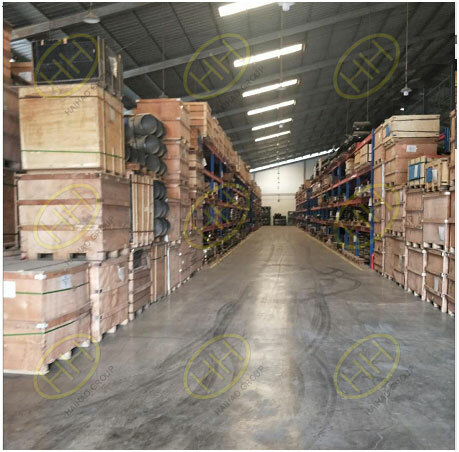 Pipe fittings and flanges manufacturer-Haihao Group would not miss this opportunity to show our pipeline products there.We are honored to attend this pageant with other peers from tube industry,automotive supply industry,iron,steel and non-ferrous metal industry,construction industry and etc. 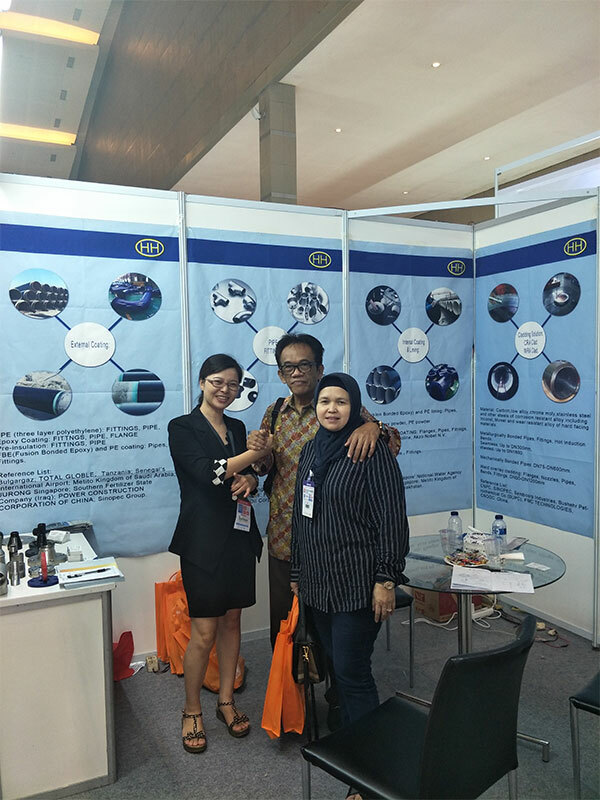 During the exhibition,our booth-L109-1 in Hall D attracted many customers.Some are old customers who came to discuss for the further business with us.Some new customers show great interest to cooperate after they checked our sample and learned that we had so rich experience to export to Indonesia. 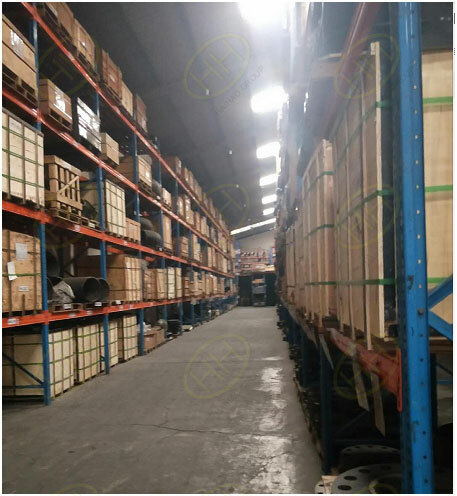 Besides the exhibition,we also visited some of local customers’ office and their warehouse.All kinds of pipe fittings,flanges including our goods are stored in order in the warehouse.We are so confident to cooperate for deep and long term cooperation. Except for the Indonesia exhibition,we also take part in fairs held in some other potential countries.Wish to meet you in our next exhibition!! !